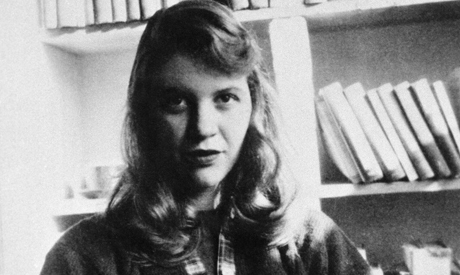 Sylvia Plath's new short story was never 'lost' - so why is the media saying it was 'just discovered'? The recent publication of Sylvia Plath's short story "Mary Ventura and the Ninth Kingdom" has been met with much fanfare, with the media eager to highlight that the story had been "lost," only to have recently been "found." The Boston Globe described the work as "recently discovered" in its headline. A Vox article evoked a scene of abandonment and deterioration - the story had "languished in her archives for decades." And a recent New Yorker article, "A Lost Story by Sylvia Plath Contains the Seeds of the Writer She Would Become," noted that "not even the author's estate had known the story existed until the critic and academic Judith Galzer-Raymo stumbled over it while doing research in Plath's archives." But was Plath's story really "lost"? For years, "Mary Ventura and the Ninth Kingdom" has been preserved - and has been accessible to the public - at Indiana University's Lilly Library, thanks to the work of archivists and other cultural stewards. As an archivist, I bristle at this sort of misleading coverage, which is only the latest example of the media ignoring the work of archivists in order to highlight something found in archives as "newly discovered." What's behind this media impulse and why do these mischaracterizations persist? I've become all too accustomed to seeing headlines about "long-lost" manuscripts that have been found. For example, in 2012 twoarticles in The Atlantic debated whether a medical report relating to Abraham Lincoln's assassination amounted to a "discovery." As another example, The Chronicle of Higher Education reported a "long-lost letter" by René Descartes that had "lain buried in the archives [at Haverford College] for more than a century." The public also recently learned of letters from interned Japanese-Canadians during the Second World War that had been "long-forgotten in the bowels of Library and Archives Canada." In all these examples, the documents were already preserved and accessible in archival repositories. And on the rare occasions that archives are featured in the press or in popular culture, they're usually characterized as old, secluded and dusty places. For example, in 2013 The New York Times published an article titled "Leaving Cloister of Dusty Offices, Young Archivists Meet Like Minds." If the headline alone didn't convey this sentiment, the text drove it home: The archivists, it read, had "long spent their careers cloistered, like the objects they protected." Any archivist reading this story knows that nothing could be further from the truth. In a letter to the editor, Helen W. Samuels, a former archivist at MIT, responded, "While I was delighted that your article focused attention on the talented archivists now employed by so many institutions, I was saddened that it perpetuated the outdated image of archivists as preservers of dusty, precious artifacts maintained in a cloistered environment." For the record, "dusty" doesn't characterize any of the repositories I've worked in or visited. For example, the Albert and Shirley Small Special Collections Library at the University of Virginia is clean with an open layout, and its spaces are filled with natural light. Similarly, the University of Michigan's William L. Clements Library spaces do not fit the "dusty" stereotype. Perhaps the media finds these tropes appealing because they evoke the romance and mystery of unearthing, discovering and rescuing rare books, documents or artifacts, as if they're hidden treasures. After all, who doesn't want to feel like Indiana Jones? And by representing archives as dusty, cloistered places, the materials appear to be on the verge of disappearing into obscurity - that is, unless a researcher comes to the rescue. Another reason these tropes persist could have to do with the way our society privileges innovators over maintainers. Maintainers, according to scholars Andrew Russell and Lee Vinsel, are "those individuals whose work keeps ordinary existence going rather than introducing novel things." Archivists are maintainers: They perform the "ordinary" work of acquiring, appraising and arranging archival materials. They respond to the inquiries of students and researchers, and work to preserve materials for posterity. As members of the archival community have pointed out, this sort of work is generally ignored and misunderstood. Instead, when it comes to stories about archival research, stories will focus on the "innovators" - the scholars who write about the rare manuscript or old letter and, in doing so, rescue these materials from obscurity. Nonetheless, while a researcher might be the first researcher to read a document, they may not be the first person to have encountered it - not when archivists, curators, librarians and other staff work with materials on a daily basis. Interestingly, the researcher featured in The New Yorker article about the Plath short story doesn't appear to have been the first scholar to have "discovered" that "lost" Sylvia Plath story. As Rebecca Baumann, Head of Public Services at the Lilly Library, noted, "Many people have written about ["Mary Ventura and the Ninth Kingdom"] . There's published scholarship that discusses [it]." But that doesn't always make for the best story. This article is republished from The Conversation under a Creative Commons license. Read the original article here: http://theconversation.com/sylvia-plaths-new-short-story-was-never-lost-so-why-is-the-media-saying-it-was-just-discovered-110329.